How do I enroll in Medicare as Federal Employee? Many states do a poor job of regulating Medicaid fraud because it is a not a simple matter economically. After all, for ever dollar Medicaid brings into a state, there is a federal matching dollar hat the state receives. Some states even overpay Medicaid providers, collect matching federal funds, and collect kickbacks of overpayments, thus becoming part of the fraud problem. The question then becomes, what is the sense behind turning the oversight of Medicaid over to the same government that is participating in the fraud? Their actions have created long waiting lists, rationing of care and poor delivery of not enough care, again controlled by the government. There is another side to the issue, however. What happens when you need to make the numbers work? It’s important to look at the major problem. There are many honest and caring physicians who try to help as many individuals on Medicaid as possible. The problem is that even the busiest physicians that take Medicare can’t take more than about 28% of their caseload in Medicaid patients, they can’t afford to stay in business because the amount they are reimbursed is lower than the services provided. Therefore, if there are too many Medicaid patients seeing a particular doctor, he loses money until he can’t afford to stay in business any more. We haven’t even talked about the number of children covered by Medicaid for various reasons. There are over 25 million kids that have various forms of Medicaid coverage. There are Targeted Case Workers and Case Management through Medicaid Rehabilitative Services who do all they can to deal with children’s’ physical and mental disabilities – getting help and services for them while keeping expenses to Medicaid and to physicians under control. A federal-state partnership that exists now to cover these expenses could be eliminated if some politicians get their way. Looking at both sides, the hope is that the politicians will be able to work with the expenses while remembering that these issues are not only about finances, but at the heart of the issues are children and adults with vulnerabilities and disabilities that depend on the Medicaid system to help keep them well. Do You Know Your Medicaid Law? Medicaid was designed to cover low income individuals and their families for hospital services ( in and out patient), laboratory services, x rays, home nursing care, doctors services, physical therapy, hospice and rehabilitation care. Medicaid recipients must go to a Medicaid-approved doctor who is on the Medicaid list. Sometimes, in some areas, there are a limited number of doctors that accept Medicaid, so some individuals have to search carefully and, once they find the right physician that they are comfortable with that are Medicaid approved and accept Medicaid for payment. As a result, there is often a waiting list for an appointment, even if it’s an urgent situation. In a serious emergency, the doctor’s office may take you right away and “squeeze you in” to their schedule. More often, they send you to the emergency room, which ends up costing you, taxpayers, the community, the hospital and Medicaid more money than if Medicaid reimbursed good doctors enough money to be able to enroll and appoint more, thus eliminating some of the long waiting line. Federal laws state that if you become eligible for Medicaid, which is based on income and need, the states may not reduce other welfare benefits you are receiving. In addition, we have been hearing a lot about trying to exclude legal immigrants from Medicaid system. The problem with this is that Medicaid only requires – by law – for an individual to establish and prove residency (and meet low income requirements) to apply for and, if approved, receive Medicaid benefits. States cannot impose citizenship requirements on anyone who needs Medicaid benefits. Regardless of age or whether or not the individual works is not a reason that Medicaid can use to eliminate you from the program. Unfortunately, these situations are taking place in a number of states. If you or someone you know feels that they are not being treated fairly regarding Medicaid benefits, you can contact some places that can help. Information is available to you through www.seniorlaw.com. It is becoming too common to hear about fraudulent and dishonest individuals trying to either frighten or trick Medicare recipients – especially seniors – into either changing their coverage to inferior plans or giving out personal and sensitive information so they can use it for various types of fraud. Yesterday, in Pocatello, Idaho there was an NBC news story stating that such a group was targeting individuals in the area by calling them up and telling them that their Medicare was at stake. They would offer a discount Medicare card that was intended to replace the valid Medicare card they already have. The person that called one woman was a male, who told her about the discount card and stated that he needed some information first. It is interesting that he already had her bank routing number and her address, which is unsettling in itself, but he then asked for her Social Security number and her bank account number. Fortunately, the woman had a clue. She knew that something wasn’t right, and she had already heard that there was a scam, so she did not give the individual the information he was asking for. Then the man told her that she would lose her benefits for three months, since she would not give the requested information. Instead of continuing the conversation, she called the police. Unfortunately, other individuals who are Medicare recipients have not fared so well. As a result, the Pocatello police have warned seniors about this scam. They have told seniors in the area to be extremely careful about relaying any personal information, especially over the phone. It is also important to note that there are certain ways to verify that the individual is truly from Medicare. If you have caller I.D., the number will show up or the name Medicare or CMS will come up on the I.D. In addition, it is rare that you would be asked for your bank account number unless you call them and ask for direct deposit. Also, they will not usually ask for your Social Security number because they have it. They will often read it to you and have you verify it. If you are not comfortable with the person who is calling or the questions they are asking, get their name, their employee identification number and their phone number, plus their extension and the city they are in. They should readily give you that information so that you can call back, or they will give you the main number to call and tell you that you can talk to anyone there. If they won’t give you the information you request or if they hang up when you ask, they are probably not legitimate. If this happens to you, report it to your local police as well as the agency they say they are from, such as Medicare or Social Security. It is important to be aware of people and situations that could jeopardize your benefits or finances. Trust your instincts, and be cautious. Don’t give information out unless you are sure who you are speaking to. Stay on guard and keep yourself safe. Medicare provides medical coverage for citizens aged 65 years or older and certain disabled persons younger than 65 years.Â It is the U.S. Government’s health insurance plan for elderly Americans. Medicare is the nation’s largest provider of managed care with over one billion claims submitted each year. Medicare fraud and abuse is inevitable due to the sheer volume of claims and the tens of millions of members. Nearly all Medicare providers, suppliers, and play by the rules.Â Unfortunately there are dishonest people who have determined how to commit Medicare fraud.Â This abuse costs the Medicare system millions of dollars annually.Â Medicare must pass the costs on to honest members by raising premiums. Most Medicare mistakes are not Medicare fraud, and can be fixed with a phone call.Â If not, here are some tips on how to spot Medicare fraud. 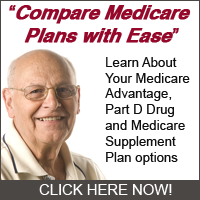 – The medical provider wants your Medicare number even if the test is free. – The service is not covered by Medicare but your provider tells you that they know how to get reimbursed for it. – The provider tries to convince you that more tests are better, or that more tests will cause you to pay less for the visit. – The provider tells you that the medical equipment or service is free, when you know there is a charge for it. – Your provider charges you a co-payment for laboratory services (which are 100% covered by Medicare). – The provider tries to entice new patients by proclaiming free consultations for Medicare patients. – The provider claims to be a Medicare representative. – The provider routinely waives your co-payments for services which require them, without even inquiring about your ability to pay. – High-pressure sales or scare tactics are used to get you to purchase expensive services or equipment. – Your statement bills Medicare for services you did not receive. Here are tips on how to help prevent Medicare fraud:Â never give your Medicare insurance number to anyone but your medical provider, only appropriate medical officials should see your medical records, don’t exchange your Medicare card number for free services, be wary of providers who claim that they can get reimbursed for non-reimbursable services, and don’t believe a provider who claims to be endorsed by Medicare or the government. Medicare fraud investigations may take months or even years.Â If you are eligible for a Medicare fraud reward, you may receive $1,000 or 10% of the recovered funds, whichever is less. Medicare, the U.S. Government’s health insurance program, provides medical coverage for citizens aged 65 years or older and certain disabled persons younger than 65 years.Â With over one billion claims processed annually, Medicare has become the country’s largest managed provider of medical care.Â With more than a billion transactions, tens of millions of members, and an increasingly-complex system, Medicare fraud and abuse of the system is inevitable. The overwhelming majority of health providers, suppliers, and institutions who provide Medicare services do so honestly and by the regulations.Â However, unscrupulous individuals have determined how to commit Medicare fraud to the tune of millions of dollars every year.Â Those Medicare fraud thefts have the effect of raising Medicare premiums for the honest members. Most Medicare mistakes are honest ones rather than Medicare fraud.Â They are probably transcription errors, typographical errors, and many other types of problems that can occur when humans interact with large amounts of paperwork.Â If you see these types of errors, contact the doctor who provided those services and discuss them.Â The problem can usually be solved that way.Â However, if a provider begins billing you for services that used to be free (or that you know to be free under Medicare), or uses other unusual billing strategies, it might be Medicare fraud. Medicare fraud can take several forms.Â One is to bill Medicare for services and products that were never delivered.Â Another is to bill Medicare for more services than were actually provided to the patient.Â Overbilling and billing for returned medical equipment are other examples of Medicare fraud. The government is fighting back against Medicare fraud.Â The goal is to ensure that Medicare only does business with reputable and honest medical health care providers, institutions, and suppliers.Â The fight against Medicare fraud includes the Centers for Medicare and Medicaid Services (also known as the CMS), those who provide Medicare services (e.g., doctors, hospitals, etc. ), those who receive Medicare services (patients), and several federal law enforcement and consumer protection agencies of the U.S. government. If you suspect Medicare fraud and your doctor’s office was unable or unwilling to clear up the problem, contact the Medicare provider who reimbursed the doctor for the Medicare claim.Â The Office of the Inspector General maintains a hotline at 1-800-HHS-TIPS (1-800-447-8477).Â Please retain all pertinent documentation, including notes from any conversations you had with the provider’s office.Â Medicare fraud hurts everyone.